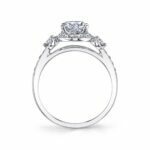 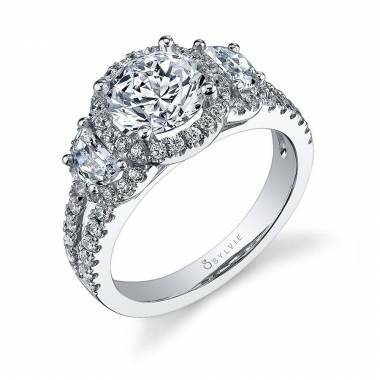 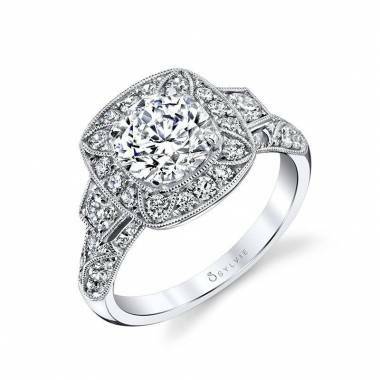 This modern and unique three stone engagement ring features a 1 carat round center stone surrounded by a stunning halo with milgrain detailing and 2 round side stones. 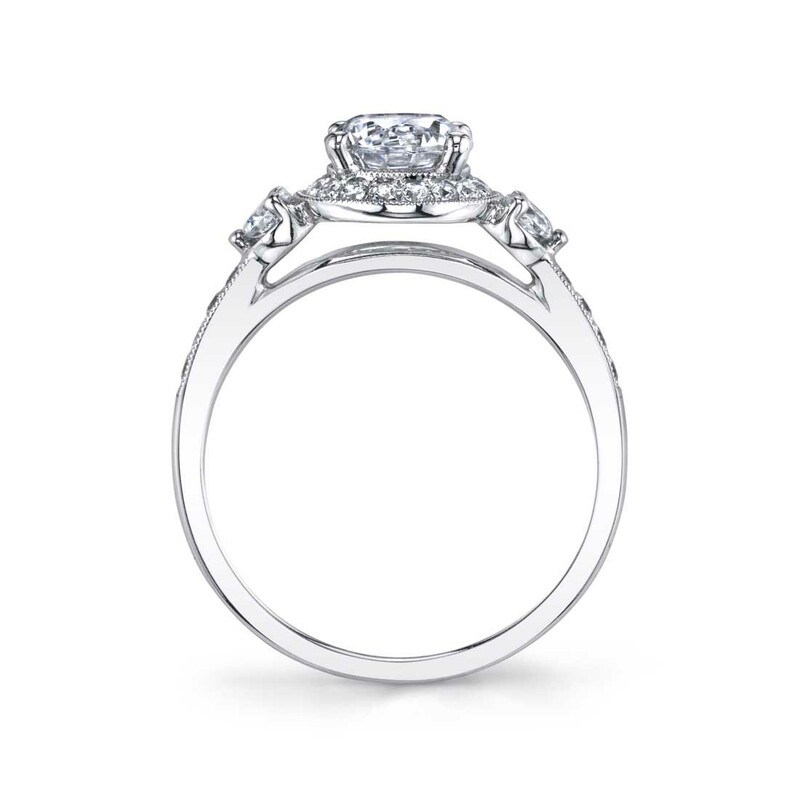 Additional diamonds cascade halfway down the sides to add the perfect amount of sparkle. 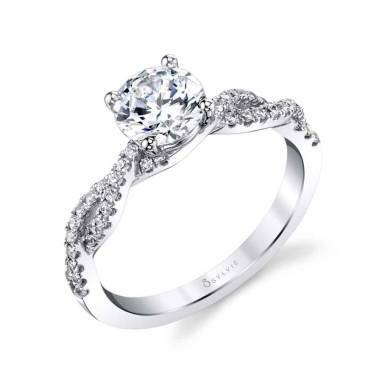 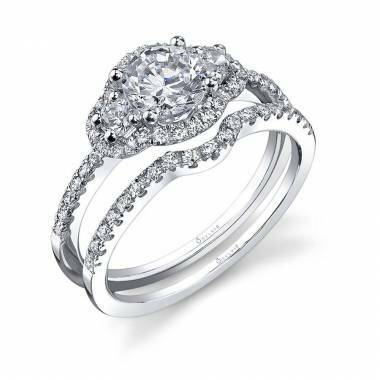 The total weight of this halo engagement ring is 0.40 carats.